"The European Parliament vote should serve as a wake-up call to EU institutions and national governments that press freedom is a fundamental democratic value that needs to be vigorously defended and promoted throughout the 28 member states, starting with Hungary". "All my solidarity. No to sanctions and to trials of freely elected governments", read the post by Salvini, who is also Italy's Deputy Prime Minister. Conservative MEPs have confirmed they will oppose moves to sanction Hungary's right-wing government for persistent violations of EU rules in a closely-watched European Parliament vote. The motion was the first time ever the European legislature triggered the procedure against an EU member state. S&D Group vice-president responsible for the report on Hungary, Josef Weidenholzer MEP, said that "Viktor Orbán, we will not stand aside while you trample on the rights of ordinary Hungarians". The vote means the other European Union states must now look at what to do with Hungary. The official argued that the votes of those who abstained were not taken into account, which swung the outcome of the voting. Critics say that Hungary's electoral system is disproportionate; media freedoms and judicial independence are dwindling; asylum-seekers and refugees are mistreated and there are limits placed on non-governmental organizations. Hungary's foreign minister has fired back at the European Union parliament decision to trigger Article 7, which can lead to sanctions against Budapest over its immigration policies, branding it the "petty revenge" of pro-migrant politicians. 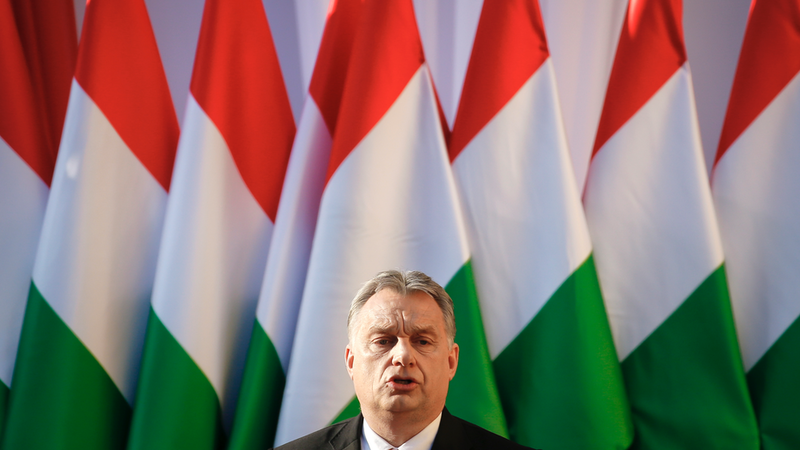 Prime Minister Viktor Orban, as expected, claimed during the debate in Strasbourg, France, that Hungary was being attacked for its tough anti-immigration stance. "The Hungarian people deserve better". The European Commission, the bloc's executive body, launched the Article 7 proceedings against Poland over the erosion of judicial independence late past year. Orban might have lost some key allies as EPP lawmakers said their caucus meeting showed many would vote in favor of Article 7. The report said Orban's government had sought to increase its influence over judges and courts, was suppressing dissenting voices including in the media, and was responsible for widespread fraud and corruption in public projects. Orban, leader of the Fidesz party, won reelection in April 2018 by a landslide, gaining a 2/3 majority in the Hungarian parliament after voters backed his anti-immigration platform, and entering his third consecutive term in office. "They made it clear that human rights, the rule of law and democratic values are not up for negotiation", said Berber Biala-Hettinga, an expert on human rights in the European Union, in a statement from the group. It will also be a test for Merkel ally and EPP head Manfred Weber, who announced his bid to become the new head of the bloc's executive European Commission next year.